Gov. Phil Scott and leaders of the Vermont House and Senate continued to meet in private Monday, attempting to reach a compromise over how to negotiate savings in teachers’ health insurance plans. The dispute over how to implement changes in health plans prompted by the Affordable Care Act is prolonging the legislative session. Originally planned for last Saturday, adjournment was postponed until this Thursday. Scott is demanding that the budget include the expected savings, but his proposal to recoup them by negotiating a statewide teachers’ contract has met with resistance in the Democrat-controlled House and Senate. After failing to reach agreement Friday, House Speaker Mitzi Johnson (D-South Hero) and Senate President Pro Tempore Tim Ashe (D/P-Chittenden) met with one another again Monday morning — and with the governor later in the afternoon. No one, however, suggested a grand bargain was imminent. Scott spokesperson Rebecca Kelley said Monday morning that the governor remains “confident” that his proposal is best, and he doesn’t plan to offer up any other solution. He has rebuffed legislative counter-proposals that would preserve collective bargaining at the school-district level. Scott has not, however, “drawn a line in the sand that it has to be this proposal,” Kelley noted. Right now, it appears that not even he and his Democratic counterpart in the House are on the same page. Johnson observed that the House has disagreements with the Senate, too. “I think the Senate has shown a little more willingness to raid the Education Fund,” Johnson said, alluding to its proposal to shift $8 million in teacher retirement costs from the General Fund to the Education Fund. House members, she said, feel strongly that the latter should remain whole to avoid property tax increases. Scott administration officials also met with reporters for an hour Monday morning to defend the governor’s proposal. Scott has repeatedly said it could save up to $26 million, but legislative leaders have cast doubt on that figure. Disclosure: Tim Ashe is the domestic partner of Seven Days publisher and coeditor Paula Routly. Find our conflict-of-interest policy here: sevendaysvt.com/disclosure. Gov. 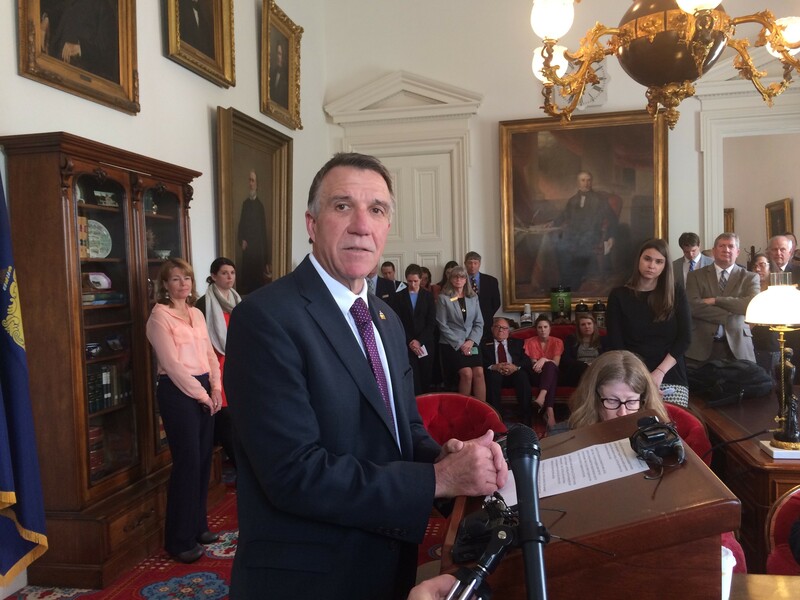 Phil Scott sent a message Tuesday morning to the Vermont legislature formally vetoing two bills: H.518, the budget bill, and H.509, a property tax bill that was at the center of the executive-legislative impasse over teacher health care benefits. Walters: Did the Governor Just Wave the White Flag?